Vinesh Mistry is a Partner and head of the Residential Property Department and has over 15 years’ experience in Residential Property work. He joined the firm on qualification in 2006 after studying law in Sheffield and completing the Legal Practice Course at the College of Law in Chester. He became a Partner with North Ainley in 2014. Vinesh has extensive experience of all aspects of residential property transactions and can also advise on property development, portfolio management and purchases at auction. He acts for a variety of clients, from first time buyers to seasoned property investors and developers, also acting for companies who invest in the property market and can tailor his advice to meet the needs of the individual client. 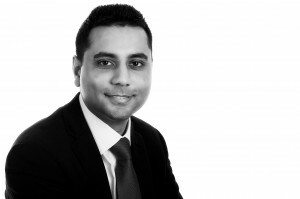 With a background in commercial conveyancing Vinesh also advises on commercial property acquisitions and disposals, letting of business premises, and lease negotiation and preparation; acting for both landlord and tenant. His experience includes the acquisition of portfolios of properties, high value lending transactions and refinancing. Our commercial clients require advice around the clock and Vinesh will always ensure that matters are dealt with as efficiently as possible, providing cost effective and pragmatic solutions. As a result, he has built up a loyal base of clients. Outside of work Vinesh enjoys going to the gym, eating out and socialising with family and friends.